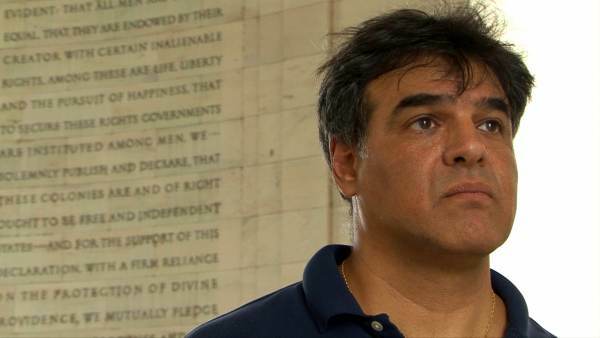 CIA whistleblower John Kiriakou is requesting a presidential pardon after being the only person to go to jail in relation to the Bush administration’s torture program. Kiriakou was sentenced to two-and-a-half years in prison in 2013 after becoming the first CIA official to publicly confirm and detail the agency’s use of waterboarding. The former CIA analyst had accepted a plea deal in which he admitted to a single count of violating the Intelligence Identities Protection Act, by providing a name of someone involved in the torture to a reporter — though their identity was never revealed. Appearing on Fox & Friends, Kiriakou explained that the Bush administration had determined that he did not commit a crime, but under Barack Obama they reopened the case and charged him with five felonies. The former CIA analyst stated that Obama had an “Nixonian obsession” with leaks and was the enemy of transparency and the press. He explained that John Brennan was the same way. “[John Brennan] had this insane obsession with leaks, except when he was leaking – then it was ok,” Kiriakou said. Brennan had been the one pushing for Kiriakou to be charged with espionage. When he was told that Kiriakou had not committed espionage, Brennan reportedly responded saying “charge him anyways, make him defend himself,” in what was seemingly an effort to attack him financially. Kiriakou said that he would be “forever in debt” to President Trump if he pardoned him. “I would be forever indebted to the president for a pardon. This president is unlike other presidents. You know, Barack Obama and Bill Clinton, they gave pardons and commutations as they were running out the door at the end of their term. So they didn’t have to face any political fallout. This president is different. This president accepts political responsibility for his decisions. He has been pardoning people since he got into office because he knows that he’s doing the right thing. He sees an injustice and he corrects it. And I’m humbly asking him to correct this,” Kiriakou said on Fox & Friends on Thursday.